While we are having a very congested city in Singapore, most of us rely on public transport to commute to work. In order to reduce the traveling hour to work, government has put in effort to introduce few more regional centers out of CBD area, such as JURONG and Tampines. 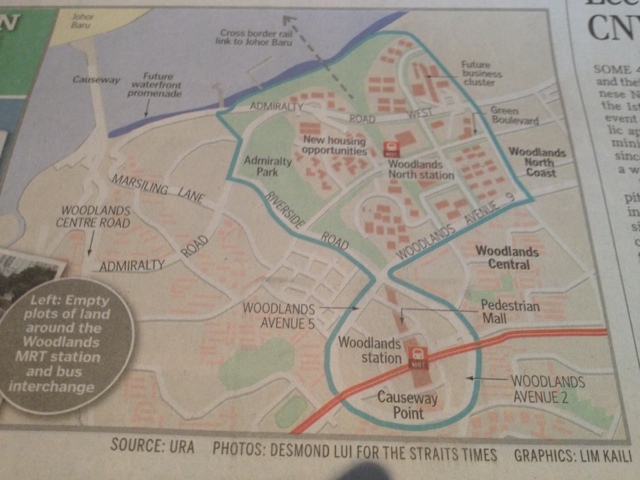 The latest now is Woodlands, which is known as the first ground for people who come from JB to work in Singapore. The Singapore government just reviled the plan to transform woodlands / North Singapore to be another hub, so that the people work live there can have a chance to work closely to their neighborhood. 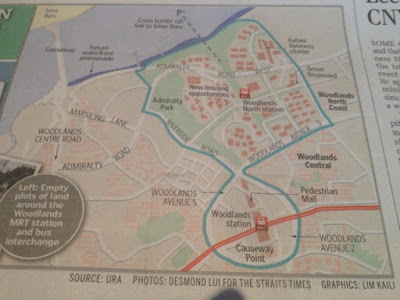 While we are already knowing that there will be a new MRT - Thompson Line ends at Woodlands North station nearby Republic Polytechnic, it is important to know that the government is trying to push for higher value creation for its limited supplied land in this small Island. Woodlands town now has about 230K residents, and one of the regional libraries is located here, providing lot of facilities and convenience to the residents here. The government now is trying to push for higher technology business and let the labor incentive industries to do the business across the border. 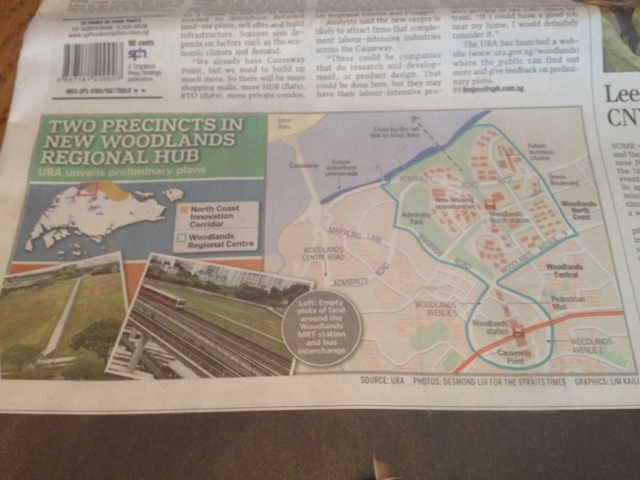 You can come to http://www.ura.gov.sg/woodlands to find out more and give feedback on the plans.